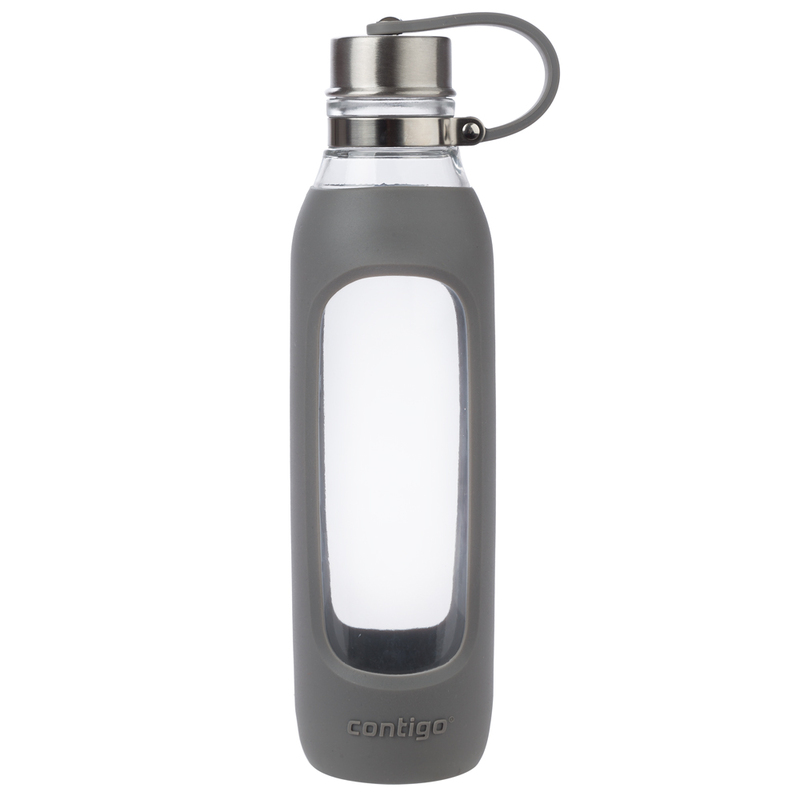 Drink pure, feel pure with Contigo's Purity Glass Water Bottles. These stylish bottles feature a leak proof and spill proof lid and a silicone sleeve that will not only protect your glass bottle, but will also provide easy grip when you are hydrating on the go. It's contoured wide mouth makes it easy to take a gulp on those scorching days and the attached silicone carry handle loop ensures your Purity Glass Water Bottle is always by your side. With its stylish body and oh-so-clever design, you’ll wonder why you’ve been wasting all that time with other water bottles After all, the Purity Glass collection is just better! Made from glass, steel and food safe silicone. 100% leak proof and spill proof.